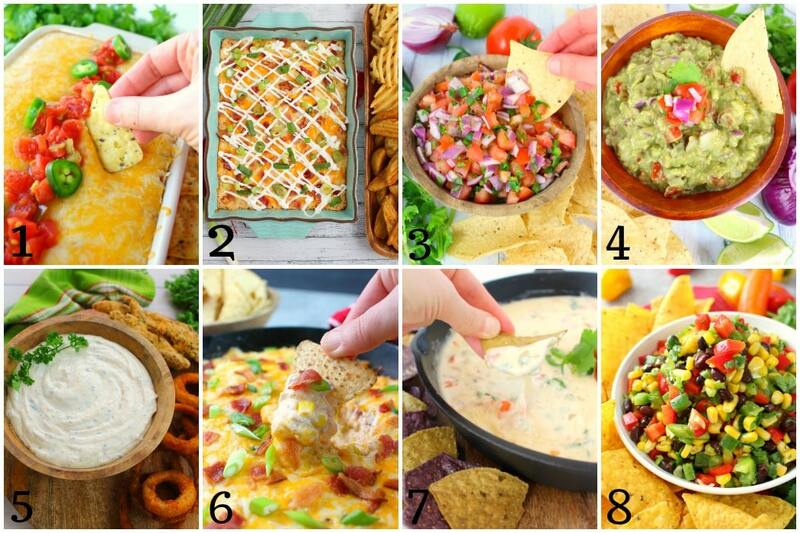 Look no further – the Ultimate List of Game Day Recipes is here! 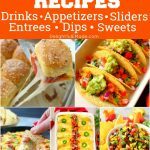 The perfect resource for all of your game day food ideas and must-have recipes for watching the big game! The Ultimate List of Game Day Recipes! Are you hosting a watch party for the big game? Maybe you’re going to someones house to take part in the game day festivities. 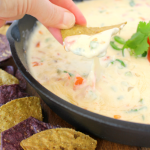 Whether you’re hosting or a guest, you’re gonna need some game day food ideas! 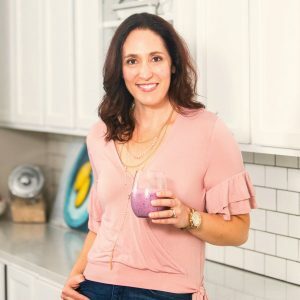 I’ve got you covered with a list of all my best, most delicious and game-worth food into one place as your new go-to resource of game day recipes! Like this collection? 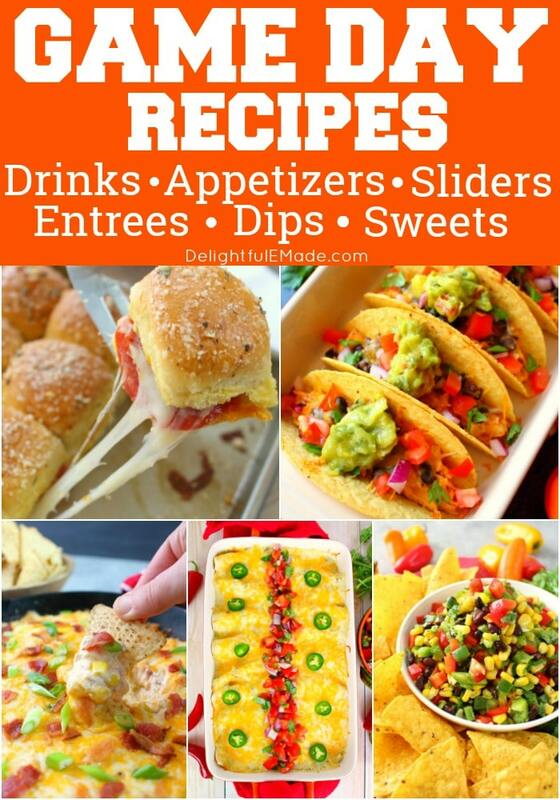 Be sure to pin it to your Party or Tailgating board on Pinterest! 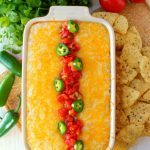 Your game day celebrations will not be complete without a good dip or salsa recipe! 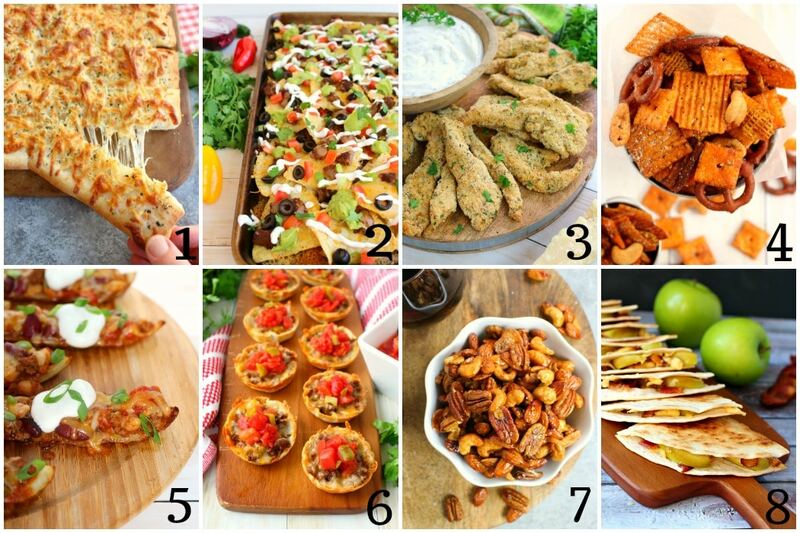 I’ve compiled some of my very favorite recipes for the ultimate game day food ideas. I have options for dips that can be served hot, right out of the oven, or cold so you can prep before your guests arrive. It’s definitely not a party without some appetizers or snacks. 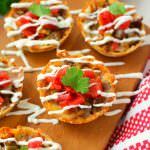 These eight appetizer and snack options below are the perfect game day food idea and fantastic for homegating or tailgating! Super easy to make, and fantastic for just about any gathering! 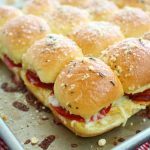 Sliders are the perfect game day food idea! 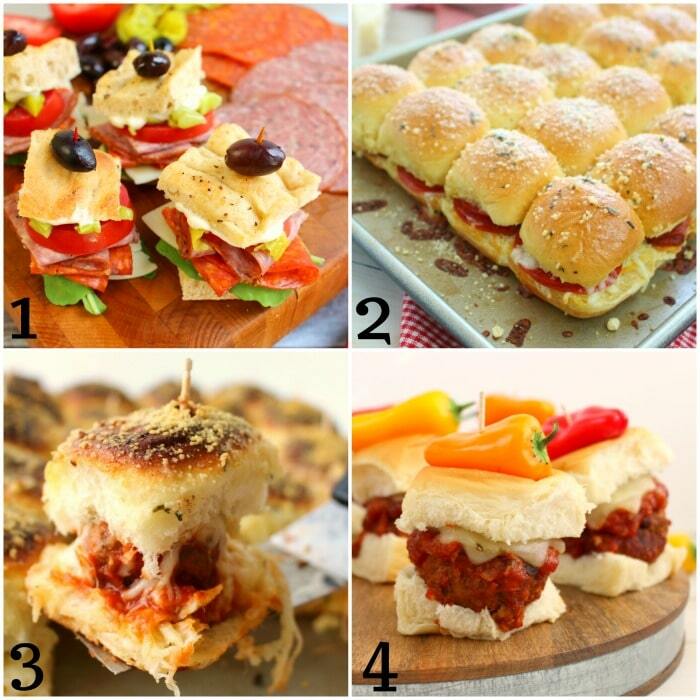 The mini-sandwiches are perfect for serving for a crowd. I’ve got ideas that can be served cold or hot out of the oven. Maybe make a second batch – these sliders will go fast! Okay, so many sporting events (the Super Bowl in particular) are long, drawn out events! I can often be a 4-5 hour event. You’re going to need sustenance. Plan a main dish or entree for your viewing party. 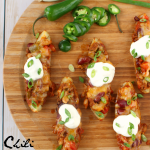 Chili is always a hit, so I’ve included a few of my favorite recipes. I’ve also got tacos and enchiladas, because Tex-Mex fare is always a winner. And we cannot forget about pizza and subs. 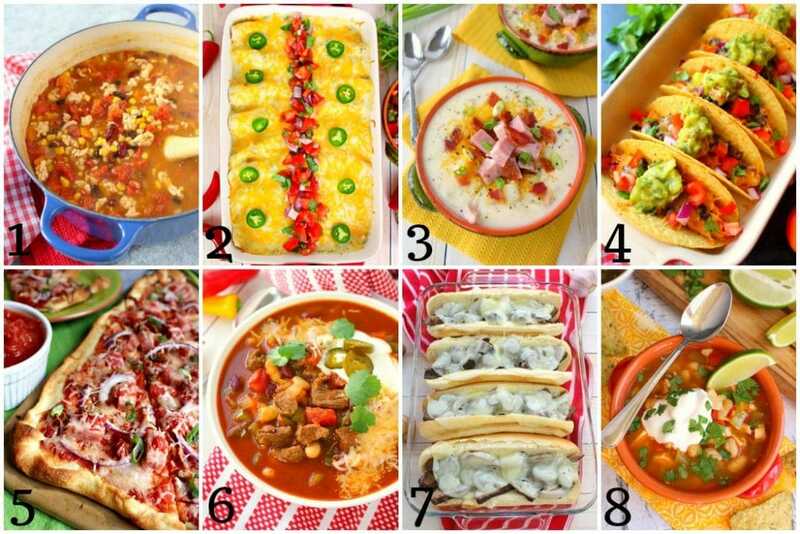 Find all of these entree recipes below. 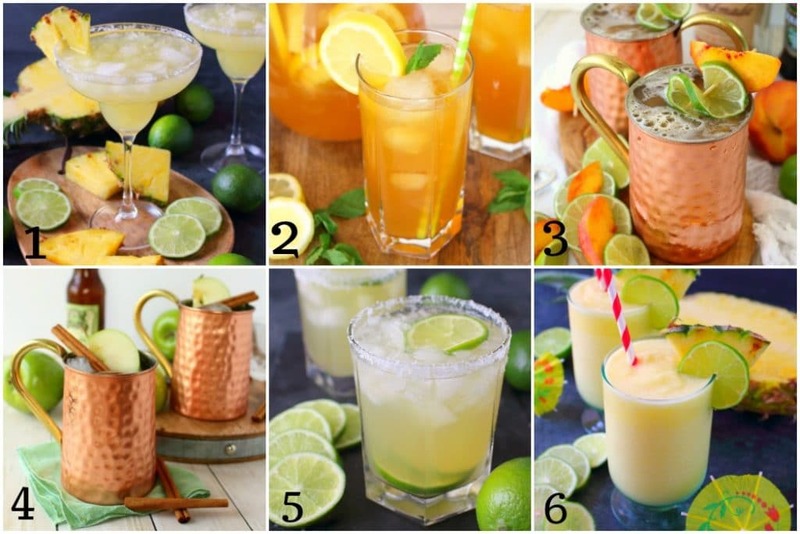 Drinks for your game day celebration are a must! Yes, everyone has beer, but what about something that goes with the food you’re serving? These drinks and cocktails below offer a little bit of everything for your guests. Make sure your supplies are ample – you’ll have guests coming in for refills! 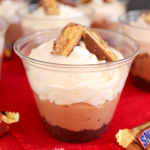 It’s simply not a party without something sweet. 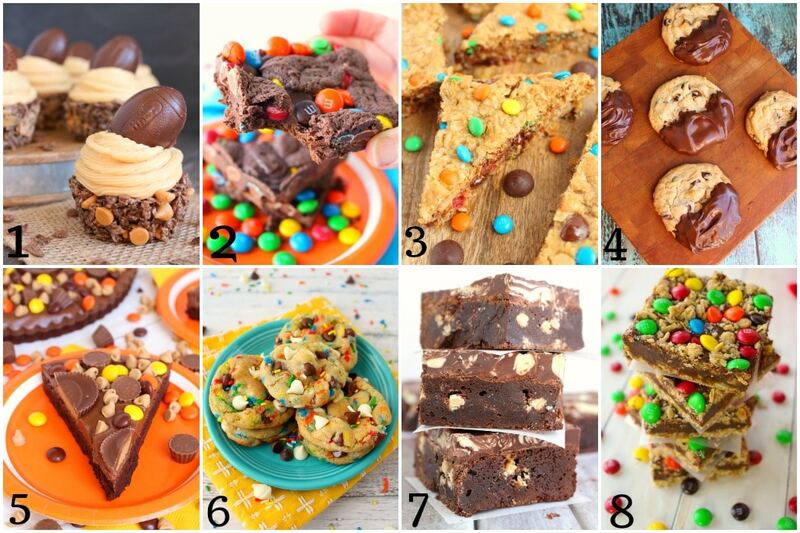 I’ve compiled some of my favorite cookies and bars that would be perfect for your game day celebration. These desserts are simple to make before your guests arrive, or would be easy to transport if you are going to someones house to watch the game.